Manila - The Philippines joins the Nation of South Africa and the whole world in mourning the passing of a great man and Nobel Peace laureate, Nelson Mandela. Malacañang Palace expressed sadness over the death of former South African president described as "a shining beacon of inspiration to all freedom-loving people." Mandela, whose victory against apartheid united his native South Africa and changed the course of modern history, has died following a complications from a recurring lung infection. "We grieve over the death of Nelson Mandela, a revered world leader, who led his nation and people to freedom by treading the path of peace. He endured decades of imprisonment with unwavering fortitude and perseverance, affirming that taking the peaceful, non-violent path to freedom is one that brings about sustained and enduring fulfillment of a people's aspirations for full emancipation," Communications Secretary Sonny Coloma said. In the statement of the Department of Foreign Affairs (DFA), it says "Nelson Mandela was not only a courageous and compassionate champion of democracy and racial equality for his own country, but also stood as a beacon of inspiration and hope for all those who sought freedom in every corner of the globe, including the Philippines." The Philippines will forever be honored to have hosted President Mandela’s visit to our country in 1996 and recall with pride and appreciation his historic meeting with a fellow icon of democracy, the late Philippine President Corazon C. Aquino in Capetown in the same year. "The late President Mandela’s extraordinary integrity, his tireless commitment and his grand vision that embraced equality for all even under the most trying of circumstances shall never be forgotten. Filipinos who stood in the vanguard of the world’s struggles for freedom with our very own People’s Power stand in solidarity at this sad moment with our brothers and sisters in South Africa and with those who love freedom everywhere. ", DFA added. Meanwhile, South Africa on Saturday began preparations to host US President Barack Obama and other world leaders eager to pay their respects to Nelson Mandela during 10 days of mourning for the anti-apartheid icon. 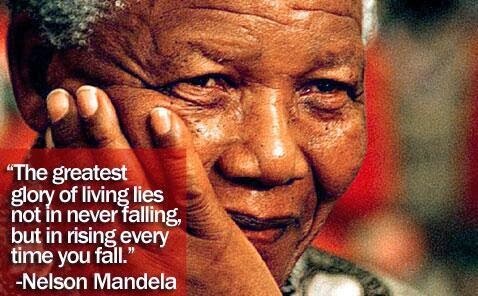 Mandela, who was 95 as he died late Thursday, will get a state funeral and national flags will be lowered to half-mast.